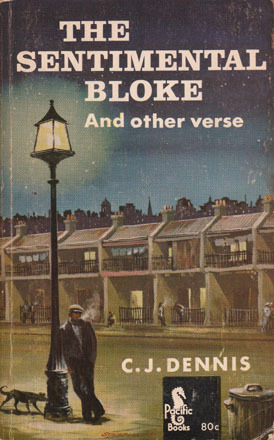 Note: this collection was first published by Angus and Robertson in 1950 and is, as far as I can tell, the first major use of a cover for Dennis's Bloke which doesn't feature Hal Gye's cherubs. The artist here is unidentified. This page contains a single entry by Perry Middlemiss published on March 16, 2010 6:42 AM. Lisa Hannett Interview was the previous entry in this blog. Wet Ink Short Story Prize is the next entry in this blog.